Each International Board Certified Lactation Consultant® (IBCLC®) is required to gain and update their knowledge of lactation and the infancy period. One of the best gifts we can give to the families we serve is to be up to date on the latest in evidence-based care. IBCLCs are required to either retake the certification exam or recertify with Continuing Education Recognition Points (CERPs) every five years (recertification by exam only is required every ten years). CERPS can be obtained through conference attendance, webinar viewing, study modules, in-person education, eCourses, and a variety of other means. We have developed a short survey to better understand how you are receiving your required continuing education and to learn how we can better help you to obtain it. Click on the button to participate in this quick poll. It should take less than 5 minutes to complete. You do not need to be an ILCA member to participate in our quick poll. We are interested in hearing from everyone in the professional lactation community. If you have any questions about ILCA’s continuing education offerings, please email education@ilca.org. It is no surprise to anyone in the field that training is lacking for healthcare workers in the science and art of lactation and supporting breastfeeding families. InJoy and ILCA have sought to address the challenge with this eCourse, available completely online. Hospitals who license the course will also find ideas for additional related group activities in the Facilitator’s Guide. It was designed to provide education to in-hospital maternity care staff and highlights both 10 Steps of the the 10 Steps of the Baby Friendly Hospital Initiative as well as the impact of birthing and postnatal practices on breastfeeding. For more information and to learn more about how this course might be valuable to you (including the option to view Module 2 in its entirety), please click HERE. Want to see a sample video? Check out this one which shows maternity staff how to accommodate skin-to-skin care immediately after birth. 1. If you work for a hospital or health care facility serving women through childbirth, please share the information about this product with your supervisor or education department. 2. If you are an IBCLC seeking to build your knowledge about the impact of birthing practices and how to support breastfeeding in the early days, consider purchasing the single-user version of this product. For just $35 USD, you will have full access to video, practice tools, handouts, all in an interactive learning environment. Upon completion, you will be eligible for continuing education units, awarded by ILCA. Additional fees apply. We strongly encourage YOU to consider how this course could benefit your community or professional growth. Lactation Matters is proud to highlight this fantastic resource produced by the Breastfeeding Resource Center (BRC), a brochure intended to educate radiology personnel about breastfeeding. We hope that it will be helpful for those with questions about the compatibility of breastfeeding and contrast agents. We thank them for encouraging all of our readers to widely share this resource. These are common phrases we all have heard as IBCLCs. It’s even more frustrating when we hear about it after the fact. The Breastfeeding Resource Center (BRC) provides assistance to fourth year medical students from Drexel University in Philadelphia, PA and they can use us as a resource for projects. 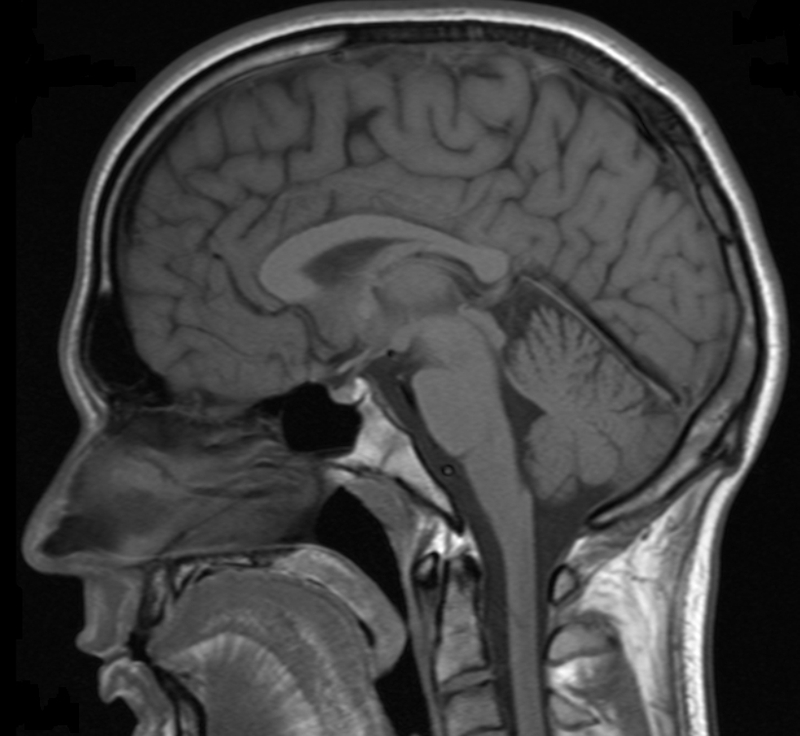 Mariya Gusman, a Drexel student, came to the BRC to pick my brain for ideas for her project. Her passion lay in Radiology, but a visit to our center validated the important link between breastfeeding and Radiology. You can only imagine my excitement when we started talking. Together with the BRC’s Education Committee, we planned to create a brochure for local Radiology Departments. I pointed Mariya to resources to find evidence based information on contrast agents and their impact on breastfeeding. Interestingly, she came back to me with one question, “What’s the big deal about pumping and dumping for a few days?” Even she, a doctor and breastfeeding advocate, didn’t understand the difficulty. So we decided to add a portion addressing the concerns surrounding pumping and dumping. The BRC then gathered 15 volunteers to begin the search for contact information on as many Radiology Departments and Imaging Centers as we could find. A cover letter was developed and mailed along with two brochures to 85 researched addresses. We also emailed the brochure to our local ILCA affiliate members and offered to mail nicely printed copies to them. Many were excited to help spread the word. Since the mailing, many of the recipients have contacted us. They have thanked us for our work and requested more brochures. We hope this project can end the senseless need for pumping and dumping! We are proud to offer this resource to all of our readers. You can access it by clicking on Radiology brochure. 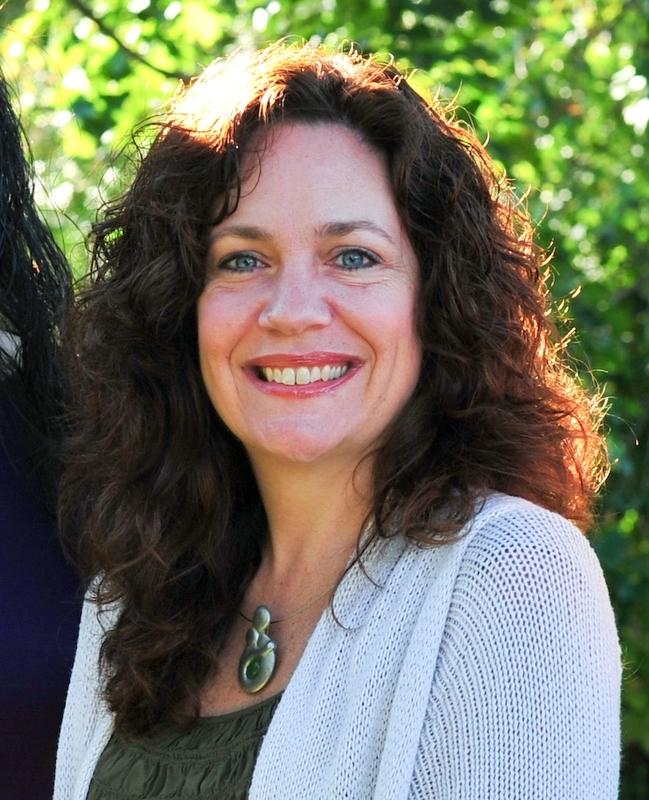 Colette Acker is the Executive Director of the Breastfeeding Resource Center (BRC) in Abington, PA. In 1998, Colette became an IBCLC. She began providing home visits, but many mothers couldn’t afford to pay. In 2003, Colette and a colleague founded the BRC which provides visits on a sliding scale of payment. The first year they worked with almost 300 families. Last year, they worked with close to 1,000! New programs were developed over the years such as free support group meetings, observation days for pediatric residents, and a pump program for low income mothers. Colette loves both working with mothers and doing the daily tasks of the executive director. Every year at about this time, I think of Hurricane Andrew. Sometimes I wonder why. 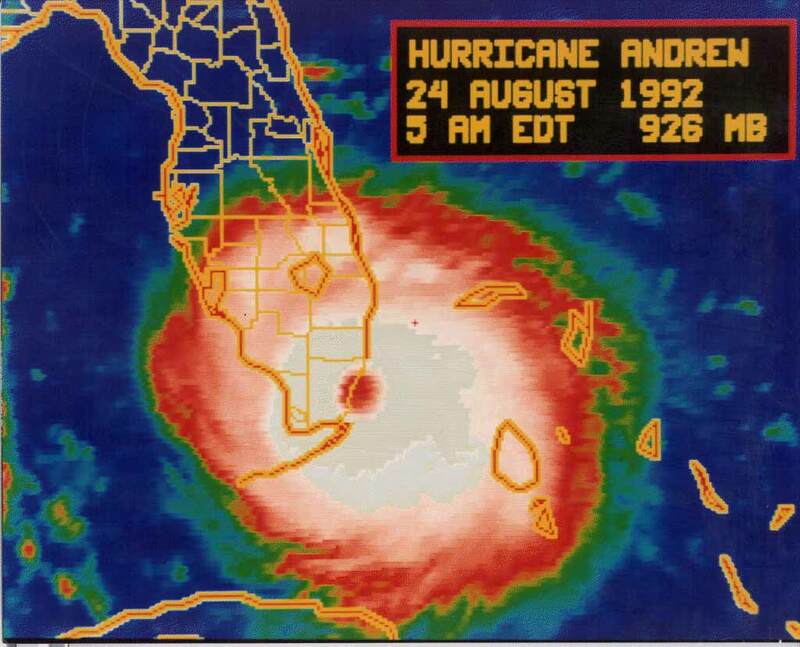 Twenty-one years ago, I was inside the tropical buzz saw known as Hurricane Andrew, a Category 5 storm that hit South Florida in August of 1992. When a storm of that strength is just outside your door, the smartest thing you can do is suppress your curiosity and not look out your windows, which hopefully are boarded up anyway. And we were smart, so from that frightening night what I mostly remember are the sounds – the storm, whistling like an oncoming train about to roll full-speed ahead into the closet we were hiding in, and the knowledgeable, calming voice of meteorologist Bryan Norcross on my radio. I remember the darkness. And I remember my 16 month old daughter nursing….and throwing up. But Hurricane Andrew wasn’t just a personal milestone in my life; it was also a professional one, my first serious venture into my future as a public health IBCLC. That night was all about Andrew’s sounds, but from the moment the sun returned to our skies, its sights took over. South Florida – indeed the country – could not remember when the nation had last witnessed such devastation from a natural disaster. Three of our five La Leche League (LLL) Leaders lost their homes to Andrew. I – a newcomer to breastfeeding advocacy, having only become a Leader one year earlier – was one of the two that didn’t. Once we were all finally able to see what had just happened to our city, those of us in LLL were immediately panic-stricken at the prospect of the city’s newborns being fed infant formula under such conditions – no water, no electricity, no refrigeration, no grocery stores. It was as if overnight we had all been transported to a 3rd world country and were now living inside of Gabrielle Palmer’s book, The Politics of Breastfeeding. “Well, not in my town, and not on my watch,” I thought, so I had an idea – take all of the money that LLL folks from around the country had donated to us, spend it buying copies of the Womanly Art of Breastfeeding, and then give them away for free in South Miami-Dade where the storm had hit worst. It seemed like a great idea and so we bought the books and packed them – along with our idealism and our kids – into our cars and set out for “tent city”: the huge collection of tents in Homestead where many of the instantly-homeless were now living. And that is when I came across the most enduring sight, for me, of Hurricane Andrew: a huge green tent full of infant formula, can after can after can of it piled high and being given away. Our books seemed so tiny and unimportant by comparison! Just as defining for me was the virtual wall of disinterest that we were met with when we tried to explain to the powers that be that after a disaster breastfeeding is even more important than it is before it. But our passion and idealism fell on deaf ears; I felt afterwards like we’d failed miserably to make a difference. My idealism died in tent city; two things replaced it: the conviction that the most important thing we can do to promote breastfeeding after any disaster is to normalize breastfeeding *before* it, and an intense and mercilessly unrelenting desire to make a difference that drives me to this very day. Twenty-one years later I am an IBCLC with 17 years’ experience as a Lactation Consultant for the Women, Infants and Children (WIC) program, a public health professional on the brink of graduating with a Master’s degree in Public Health, a member of the National WIC Association’s Breastfeeding Promotion Committee, and a Board Director of the International Board of Lactation Consultant Examiners. I neither imagined nor planned any of it. But it all began with Andrew – with the whistling wind, the frustration of failure, the implacability of apathy, and a tent full of formula. No wonder I still think about that hurricane…..
Regina Maria Roig-Romero was a La Leche League Leader for several years beginning in 1991, and is currently the Senior Lactation Consultant for the WIC breastfeeding program in Miami, Florida. She has assisted as an IBCLC in the program’s creation, development and leadership since its inception in 1996; in 2011-2012 she led the implementation of a worksite lactation support program at the health department in Miami. From 2002-2011, she successfully mentored thirteen Peer Counselors to become IBCLCs. In 2011, Regina served as an invited member of the USDA Food & Nutrition Service Expert Panel on the revision of the Loving Support Peer Counselor Training curricula. Her major speaking engagements include: the National WIC Association’s (NWA) Washington Leadership Conference & Breastfeeding Summit in 2010, two Spanish-language sessions at the 2012 ILCA annual conference, and an upcoming presentation on perceived milk insufficiency at the American Public Health Association Annual Meeting in November 2013. Regina was appointed to the NWA Breastfeeding Promotion Committee in August 2012, and was elected to the Board of Directors of the International Board of Lactation Consultant Examiners in September 2012. In December 2013, she will graduate with a Master of Public Health (MPH) degree in Health Promotion and Disease Prevention from Florida International University. Even though we’ve wrapped up our World Breastfeeding Week celebration for 2013, The Journal of Human Lactation (JHL) is still celebrating all month long with FREE access to their journal. JHL is the premier quarterly, peer-reviewed journal publishing original research, commentaries relating to human lactation and breastfeeding behavior, case reports relevant to the practicing lactation consultant and other health professionals who assist lactating mothers or their breastfeeding infants, debate on research methods for breastfeeding and lactation studies, and discussions of the business aspects of lactation consulting. JHL is offering free access to a number of their most-read articles through August 31, 2013. While ILCA members receive and have access to JHL as a member benefit, the availability of the free articles is especially beneficial for our colleagues from other disciplines. Please share widely these resources to pediatricians, obstetricians, midwives, nurses, educators, researchers and general public. What are your favorite JHL articles from the past year? How have they impacted your practice? How do new ideas spread in the lactation community? How often are there really any NEW ideas? How big does an idea have to be to make a real difference? These are questions I am asking myself as I write and create a new lactation education toolkit based on my middle-of-the-night revelation that we need a better way to motivate and empower mothers. The idea sprang from working through two very routine cases with patients in the hospital…not an unusual situation but I was frustrated that I couldn’t find the words to teach these mothers effectively. This led to lengthy conversations with my lactation colleagues, then some sleepless nights and, finally, a light bulb moment. But this is about what happens AFTER the light bulb moment, after you start frantically typing and rifling through piles of research articles and textbooks, the days where you move through all you other activities, waiting for the free moment when you will have time to express your blossoming ideas and capture them, and the glazed-over look of your family member who have long since tired of hearing about your new breastfeeding project. What does one do with a new idea? My first obstacle was deciding on a format to express the idea. In this case, an article seemed as if it would not do justice to the concept, so a blog post or an entry to a journal seemed like the wrong place to start. The concept lends itself well to a toolkit and a toolkit with a broad audience requires excellent and accurate reference. Proper credit must be given to those whose ideas came before and which form the basis of the founding principles of the new concept. Research articles much be located and cited. Well-accepted textbooks must be consulted and cited. Online searches for similar concepts must be performed diligently. As the research and writing proceed, new thoughts on the direction of this concept are constantly forming and being reshaped. Considering the direction of the project has revealed several things to me: the lactation community is global, diverse, and highly intelligent. Providing lactation support is an endeavor which requires not only the accumulation of knowledge, but the critical thinking skills and resourcefulness to make judgement calls and navigate tricky situations, both with parents and in healthcare settings. It takes a very unique set of skills to be an effective lactation support provider. Lactation care providers also must be effective educators, sensitive and valuable counselors, and excellent communicators. The lactation community has learned to embrace all new methods of communication. LactNet has existed as a way of connecting far-flung individuals involved in lactation support for most of the time the internet has been widely available. All of the newer methods of communication have been rapidly assimilated into the culture of our community. This blog is an excellent example of a modern and efficient tool for mass communication used to all of its advantage by our professional organization. So, with the ease of communication which has been established by the lactation community, the only issue remaining for someone with a new idea is to reflect on how new the idea really is and how to measure its effectiveness. Just as the writer of an essay considers and reconsiders the thesis statement many times during the writing, this idea must be truly probed for its originality. If it is not unique enough, its scope of influence will be small. But that thought has brought me back to the basic principle of lactation support: if an idea or a tool helps even one mother and baby experience breastfeeding, it is successful. If a lactation care providers helps one mother and baby breastfeed better even one time, the provider has completed his or her objective. If an idea, a tool, or a provider can influence even one mother and her baby, it is meaningful for this world. Christine Staricka is a hospital-based IBCLC. She became a Certified Lactation Educator through UCSD while facilitating local breastfeeding support groups. She studied independently while accumulating supervised clinical hours and passed the exam in 2009 to become an IBCLC. She holds a BS in Business Management from University of Phoenix. Christine is the co-owner of Bakersfield Breastfeeds, which provides lactation education to professionals and expectant parents. 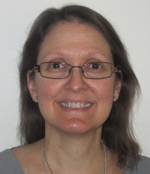 She has contributed to USLCA’s eNews as well as this blog. She enjoys tweeting breastfeeding information as @IBCLCinCA and maintains a blog by the same name. She is a wife and mother of 3 lovely and intelligent daughters and aunt to 4 nephews and 2 nieces, all of who have been or are still breastfeeding. She is partial to alternative rock and grunge music, especially Pearl Jam, and attends as many concerts as financially able with her husband of 18 years. ILCA is pleased to announce a new educational initiative to advance research-based education and skills in our profession. Through the end of June, 2013, both ILCA members and non-members may attend ILCA’s live webinars webinars at no charge. During that time, access to all live webinars is free and you will pay only if you want continuing education credit. Webinar recordings and handouts will be posted on ILCA’s CERPs onDemand™ site within 2 weeks after the live presentation. Those who wish to receive credit can purchase the recorded webinar and print their certificate online. This also provides full access to the recorded webinar and materials for the length of time it is available online. We extend this free service to our valued members to express our appreciation for your continued support of ILCA and its mission to advance the profession. This free access to live webinars also demonstrates to potential new members ILCA’s commitment to professional development and the valuable services available to members. Be sure to pass this information on to colleagues and invite them to take advantage of this special educational initiative. Visit ILCA’s webinar page now to begin registering for your free live webinars! If you elect to purchase the continuing education credit, remember that ILCA members receive a 50% discount on all purchases on the CERPs onDemand™ site. What webinars will you be signing up for? The Journal of Human Lactation (JHL) is the premier quarterly, peer-reviewed journal publishing original research, commentaries relating to human lactation and breastfeeding behavior, case reports relevant to the practicing lactation consultant and other health professionals who assist lactating mothers or their breastfeeding infants, debate on research methods for breastfeeding and lactation studies, and discussions of the business aspects of lactation consulting. In celebration of World Breastfeeding Week, JHL is offering free access to a number of their most-read articles through August 31, 2012. While ILCA members receive and have access to JHL as a member benefit, the availability of the free articles is especially beneficial for our colleagues from other disciplines. Please share widely these resources to pediatricians, obstetricians, midwives, nurses, educators, researchers and general public. I was recently discussing the upcoming ILCA conference and the business of breastfeeding, both locally and nationally with a friend and dear colleague. Part of our discussion was on the business of education and helping mothers grow their confidence and wisdom before baby arrives. The models for education can be both face to face; through class time and instruction, or online via email and social media. Knowledge is power, as the expression goes. How do we, as breastfeeding educators, grow that knowledge base for expectant mothers, and how can we expand our reach so that your transition to new motherhood is a smooth one? As both an IBCLC and a childbirth educator & doula, I know all too well how few families seek out empowering childbirth & breastfeeding education. But are enough women turning to seeking prenatal education? I don’t think so. What I do know, and see repeatedly, is that those women who do not seek good prenatal education have a greater likelihood of feeling overwhelmed and isolated. I know this because they call me desperate for help and support. A solid network of education, support and resources should be cultivated prior to baby’s arrival. This will help the mother navigate those first weeks of baby blues and postpartum healing. Not all mothers, mind you, have a difficult transition. One of the many benefits to consider is not just the knowledge base a mother will take into birthing and breastfeeding, but also the relationship she has now established! Wise Woman to New Mother! She has her tribe, someone she can now turn to postpartum to seek answers and support. As my colleague says, “a friend in her pocket”! Social media and online support can be a wonderful conduit for support and wisdom. Sixteen years ago, when I was pregnant with my first, I researched something on the “then pretty new” internet. I brought it to the attention of my OB, who I subsequently left for the care of a midwife. You know why? He scoffed and said, “Are you going to trust some quack you find off the internet?” and immediately dismissed my researching things outside his care. (That quack was Ina May Gaskin). Well, I did trust what I had read. Those were my instincts kicking in and my ability to trust myself. I encourage all pregnant mothers to seek out advice online from reputable IBCLC businesses and online communities! (Editor’s Note: Check out Australia’s new Virtual Breastfeeding Cafe) There are many wonderful resources with excellent professionals happy to help you find your way. As a La Leche League leader, the concept of “mother to mother” support is still, in my opinion, one of the best conduits of postpartum sisterhood out there! And now that “mother to mother” care can be found online, on many a Facebook page, blog, Twitter or Listserv. It’s not always easy getting out of the house as a new mother. While I never want online communication to replace face-to-face connection, there are a wealth of relationships available there. It all comes back to education and support! Whether it’s private or group prenatal classes (each has its advantages), a private lactation consult in the comfort of your home, an online consult via email or even a Twitter chat (for example, #bfcafe) — all are great ways to stay connected to a professional who only wants the best for you — normal, healthy birthing which leads to normal, healthy breastfeeding! How have you, as an IBCLC or breastfeeding professional, helped mothers to receive prenatal education and support? 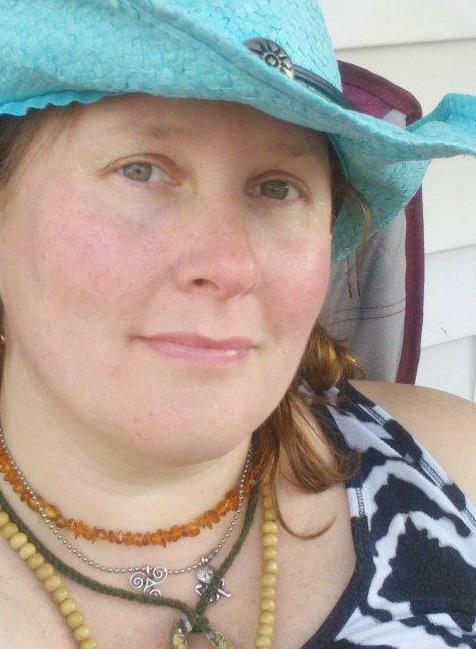 Deirdre McLary is the founder of BREASTFEEDING ARTS and has provided expert IBCLC Lactation Support, Doula Care and Childbirth Education since 1997 in the Hudson Valley, NY area. Deirdre is deeply committed to raising childbirth, breastfeeding and parenting awareness throughout her area by providing compassionate, holistic & open-minded options for anyone who seeks them. She is a board certified lactation consultant (IBCLC), a labor support and post partum doula, La Leche League leader, childbirth educator, and new parent mentor. She has also held leadership positions in The Metropolitan Doula Group, La Leche League, River Doulas and The International Cesarean Awareness Network.